Protection, security and great style make the La Porte HURRICANE GUARD French Door one of our most popular new products. Extrusion shall be 6063 aluminum inT5 and T6 temper.,with walls of from .084” to .125 ”nominal thickness at all structural locations.Frame jamb shall be tubular shaped.Head, jamb and sill shall have a dimension of1 3/4”x 41/2”.Frame shall be assembled by securing head and sill to jambs using eight concealed sheet metal screws. Panels shall be assembled using a5/16”diameter, continuously threaded steel rod,running through top and bottom rail from stile to stile.Each rod end shall be held firmly with washered hex nuts. Sill shall have an overall height of 2 1/8”and contain a 1 1/4” step for panel rail to seat. Exterior face of rail shall finish flush with outside edge of sill. Door shall be exterior swing, providing the best possible protection against water infiltration. Frame head shall contain integral hood projecting out from header to deflect clinging water from running directly down head and into opening at top of panel. Door panels,jambs and header shall receive an electro-statically applied 1.0mil thick dry film coating which meets the performance requirements of A.A.M.A.603.5 in a choice of bronze or white.All sills shall be mill finish. Panels shall be glazed with 5/16”thick laminated glass consisting of one lite of 1/8”annealed glass on inboard and outboard separated by a .090” thick interlayer as standard. Optimal 7/6” thick laminated glass consisting of one lite of 3/16” thick annealed glass on inboard and outboard side of.090” interlayer is available as added option. Glass color is as specified. Both vertical stiles and horizontal rails are assembled consisting of base extrusion and a snap fitted aluminum quarter-round glazing adaptor applied to the exterior side of each panel member to conceal and protect the glazing pocket. Heat strengthened glass is added option. Panels shall be glazed with 5/16”thick laminated glass consisting of one lite of1/8” annealed glass on inboard and outboard separated by a .090” thick interlayer as standard. Optimal 7/6”thick laminated glass consisting of one lite of3/16” thick annealed glass on inboard and outboard side of.090” interlayer is available as added option. Glass color is as specified. Both vertical stiles and horizontal rails are assembled consisting of base extrusion and a snap fitted aluminum quarter-round glazing adaptor applied to the exterior side of each panel member to conceal and protect the glazing pocket. Heat strengthened glass is added option. 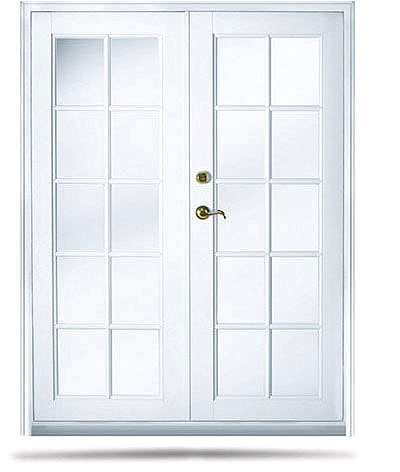 This entry was posted in French Style Impact Doors, Impact Doors Models, Lawson Impact Doors, Lawson Windows and Doors and tagged florida doors, french doors, french Glass Door, impact doors center, impact doors miami, lawson 9200 series, lawson doors, lawson impact doors, miami doors. Bookmark the permalink.